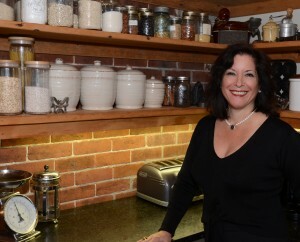 Cynthia Peters, chef and owner of From the Farm Cooking School, joins us May 14 to explore the many benefits of partnering with other businesses to create a special event or offer a special service. Creating events or services partnerships can be relatively simple to plan and implement, and so is particularly suited to small businesses and sole proprietorships. From her wealth of experience, Cynthia will share many examples of events she has participated in or initiated in partnership with another business. We are certain you will find some great ideas to jumpstart your own business, and stimulate new approaches to reach new markets, enhance your brand, and grow sales. Join us for potluck at 6:30. Introductions begin at 7:15 and Cynthia’s presentation will run until 9, including time for small breakout groups to brainstorm partnering ideas. At 9 we’ll have time for 3 people to make a 5 minute pitch on their business or business-to-be and receive 5 minutes of feedback. Sign up on the Facebook page or email Jane Macdonald or Peta Shelton directly.